Democracy and the engagement of the public are at the heart of Jürgen Habermas' work. The philosopher promotes discourse - and has consistently generated discussion himself. He turns 85 on June 18. For Jürgen Habermas, modern society is characterized by a bureaucratic democracy in which compromises are brokered without transparency. In response, the German philosopher has appealed for greater political participation in civil society. His work describes a "liberal public" and recalls a time when citizens used to meet in coffee houses to discuss how to influence their society. His astute social diagnoses, such as in his book "The Structural Transformation of the Public Sphere," his public positions on controversial issues, and his contributions to analytical and political philosophy have made Habermas one of the most renowned contemporary intellectuals in the world. "A common thread that runs through Habermas's theory is democracy, which he once called the 'magic word' of his thinking," explained sociologist and Habermas biographer Stefan Müller-Doohm. "That includes the view that the capitalist economic system must be "tamed" by democratic means," added Müller-Doohm. For Habermas, democracy always incorporates the public sphere - "that's actually another expression for what characterizes his philosophy - namely discourse ethics," says Müller-Doohm. Unlike other postmodern thinkers, Habermas believes universal truths and moral principles can exist in a globalized world where so many different cultures converge. According to him, these can be found through public discourse and consensus, as long as the protagonists don't think strategically - as is common in politics - but are open to understanding others and follow certain "rules of discourse." Taking others seriously, presuming them to be honest and moral, giving everyone an equal chance to express themselves, and avoiding any kind of coercion are among Habermas' guideless for discourse. "Habermas speaks of 'the unforced force of the better argument,' " explained Müller-Doohm. "The arguments that come out at the end can temporarily be defined as truth - although there are no ultimate truths, only temporary ones." Unsurprisingly, Habermas has been criticized for relying on idealized situations of discourse that don't normally exist in real life. For Habermas' biographer, democracy played a major role in the philosopher's life because of his personal experiences. 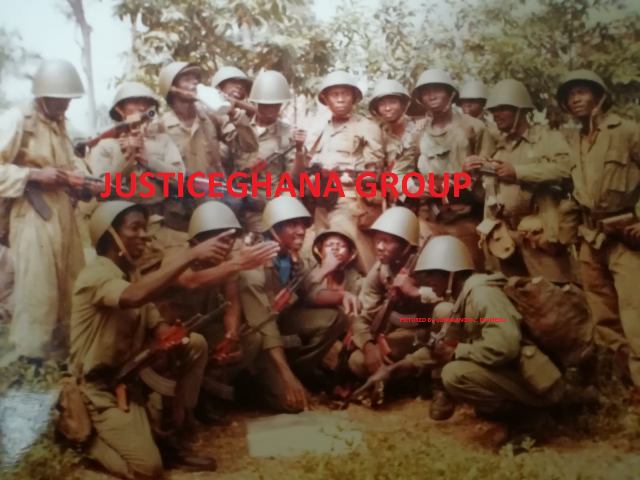 The key one came in 1945, when he "realized that he'd been living under a criminal regime and there had been a regression to barbarism," explained Müller-Doohm. 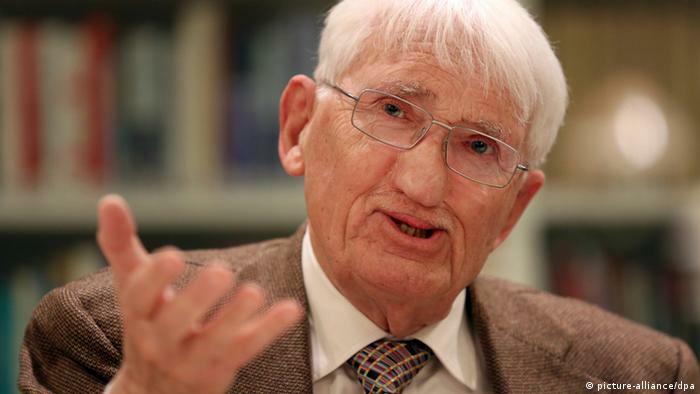 Habermas was born in Düsseldorf in 1929 and grew up in nearby Gummersbach, so he was a teenager when the wave of Nazi terror overtook his country. Later, in the 1980s, he would criticize historian Ernst Nolte for attempting to draw parallels between National Socialist crimes and those committed by the Stalinists. For Habermas, Nazis' atrocities could never be relativized. Even as a young man, Habermas was engaged in social issues. After studying philosophy, economics, and German literature, he graduated in 1954 and worked as a freelance journalist for the daily Frankfurter Allgemeine Zeitung, among others. His texts caught the attention of philosopher Theodor W. Adorno (1903-1969), considered a co-founder of critical theory and a leading member of the so-called Frankfurt School, which pursued neo-Marxist interdisciplinary social theory. 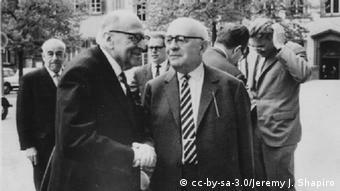 Adorno brought Habermas to the Frankfurt Institute for Social Research and influenced him with his critical social analysis, which - in a nutshell - aimed to disclose the ideological principles of power. Because of the antipathy of institute director Max Horkheimer to Habermas, the young philosopher was obliged to habilitate in Marburg, some 90 kilometers from Frankfurt. But Habermas returned in 1964 - as a professor of philosophy and sociology, and as Horkheimer's successor. In the 1960s Frankfurt became the scene of violent student protests, when Habermas supported political participation through civil disobedience. He distanced himself from radical groups and the student leader Rudi Dutschke, whom he accused of left-wing fascism in a lecture entitled "The Phantom Revolution and Its Children." His stance drew heavy criticism from the left in Germany. In 1971, Habermas left Frankfurt to became co-director of the Max Planck Institute in Starnberg, outside Munich. It was during his 12 years there that he published his most famous work, "The Theory of Communicative Action," focusing on the reorganization of social integration through communication, and developed his theory of intersubjectivity and communicative rationality. In 1983, Habermas returned to Frankfurt again to serve as professor of philosophy until his retirement in 1994. 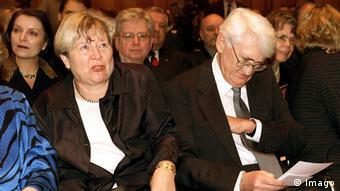 But even in retirement, Habermas continued to influence Germany's social discourse. In 1999, he stirred controversy by publically supporting NATO's intervention in the war in Kosovo. At the time, he insisted that democratic neighbors must be able to provide military aid in accordance with international law - when there is no alternative. Though a proponent of European integration, Habermas regularly pointed out the faults in the European Union's democratic structures. During the euro crisis, he spoke out against austerity and in favor of a "supernational" democracy beyond the monetary union, in which member states would secede more of their national sovereignty. "What he pictures is global citizenship without a world government," summed up Müller-Doohm. "And a united Europe is an important force in achieving this goal." 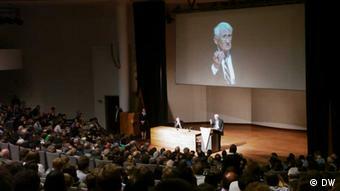 Jürgen Habermas received numerous accolades over the course of his career, most notably the Hessian Culture Prize and the German Book Trade's Peace Prize.